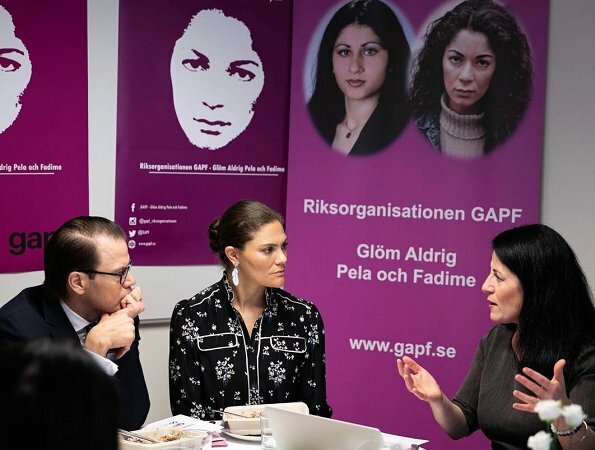 On November 8, Thursday, Crown Princess Victoria and Prince Daniel of Sweden visited "National GAPF Association" which is one of the organizations whose projects are supported by the Crown Princess Couple Foundation. GAPF was established in 2001 and its name is an abbreviation of "Glöm Aldrig Pela och Fadime - Never Forget Pela and Fadime". The name of the association is in honor of the two women Pela Atroshi and Fadime Sahindal who were murdered in honor killings. I hope sometime in the near future she accidentally gets a hole in it and so it can disappear. Maybe if the front did not have those rectangle pocket flaps it would not look so much like a night shirt. While the top is not the most flattering, a visit to such an organisation calls for less flashy, less “visible” clothes. So good on you, Victoria. I love Victoria, but I do not love this blouse. Not the nicest look for Victoria, her earrings are lovely. Young women murdered in so called "honour killings"... Very good that Victoria supports this organization! Never forget these women and all the others! Today i really like the blouse and the bun on Victoria, don´t know how that comes. Victoria must stop wearing jer pajamas to work. 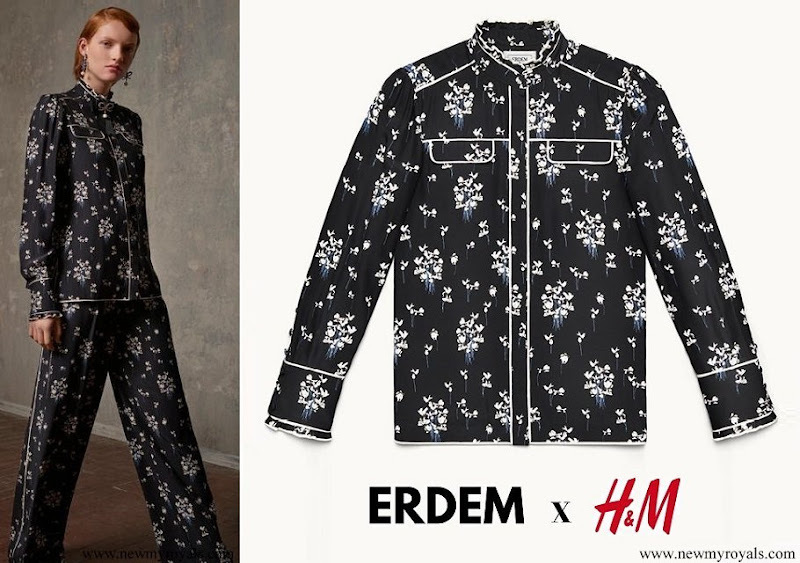 These really are pyjamas. There are no full length shots here. Please tell me she's not wearing the trousers too.I agree with unknown that it would be slightly improved without the pocket flaps, but only slightly. Like it or not, the top is in style. She is usually so outdated that I have to applaud her for updating her look.